Definition of Hallow: Hallow is a word usually used as a verb, meaning “to make holy or sacred, to sanctify or consecrate, to venerate”. The adjective form hallowed, as used in The Lord’s Prayer, means holy, consecrated, sacred, or revered. 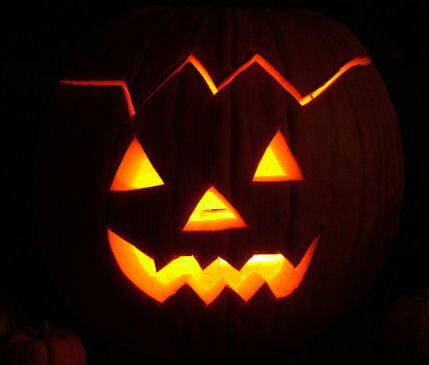 In modern English usage, the noun hallow appears mostly in compounds in Halloween and Hallowmas. 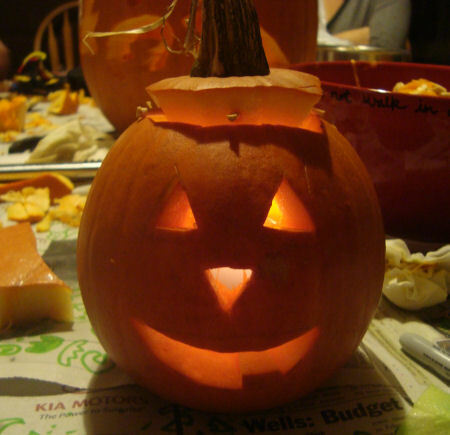 Halloween (or Hallowe’en) is a shortened form of All Hallow Even, meaning “All Hallow’s Eve” or “All Saints’ Eve”. Hallowmas, the day after Halloween, is shortened from Hallow’s mass, and is also known as “All Hallow’s Day” or “All Saints’ Day”. We’re used to hearing the phrase “Keep Christ in Christmas”. Well, I’m having a rally call for a new phrase- “Keep Hallow in Halloween!” 🙂 When you hear the word “Halloween”, no doubt that visions of Jack-O-Lanters dance in your head. 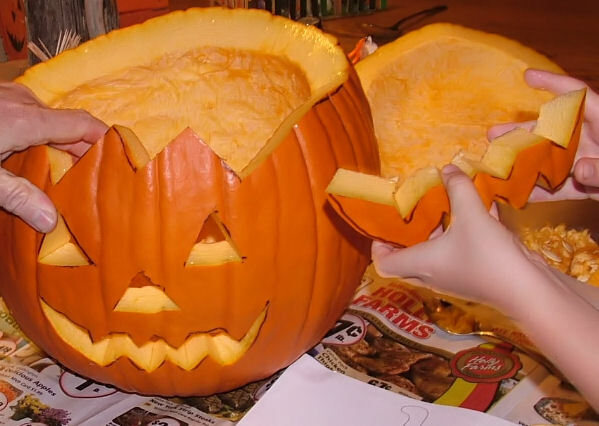 So here’s a way to keep hallow in Halloween while carving your pumpkin this year. Carve your Jack-O-Lantern face keeping the pieces in tact, and then return them to their original “holes”. 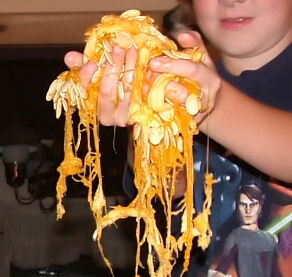 Also put the pumpkin guts into a freezer bag and put them back inside the pumpkin. Now you’re ready to go! Pray this Pumpkin Prayer as you remove the pieces of the pumpkin. (This can be done at home or in your CCD class). A great song to go with the carving activity would be “Open My Eyes, Lord“. After you light the pumpkin, sing “This Little Light of Mine” with the lights off while you look at your bright shining pumpkin! I put this together using several sources including this Jack-O-Lantern CCD lesson, and this facebook status I saw: Being a good person is like being a pumpkin. God lifts you up, takes you in, and washes all the dirt off of you. He opens you up, touches you deep inside and scoops out all of the yucky stuff — including the seeds of doubt, hate, greed, etc. Then He carves you a bright new smiling face and puts His light inside of you to shine for all the world to see!